"The Eagle's Lodge is the online home of a Mauritian blogger / political observer / net activist who blogs about both the positives and negatives of the country. A more fair and balanced representation couldn't be asked for." 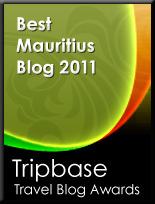 ..,Tripbase Review.